Some excellent food moments on this all-too-brief trip to our house on the bay. 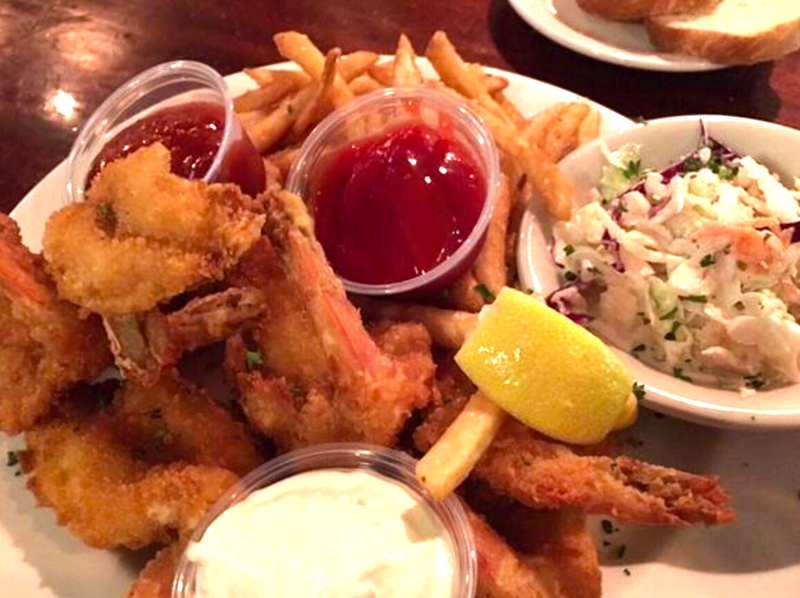 As always, the best fried shrimp on the planet was at the Owl Tap Room. 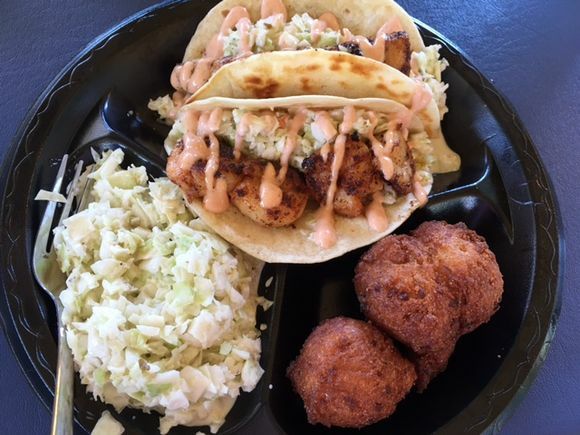 Gary’s Oyster Bar added some new stuff to their menu (Jer had shrimp, grits, sausage and greens) but I stuck with my standby shrimp and mahi mahi tacos with jalapeno slaw and hush puppies. 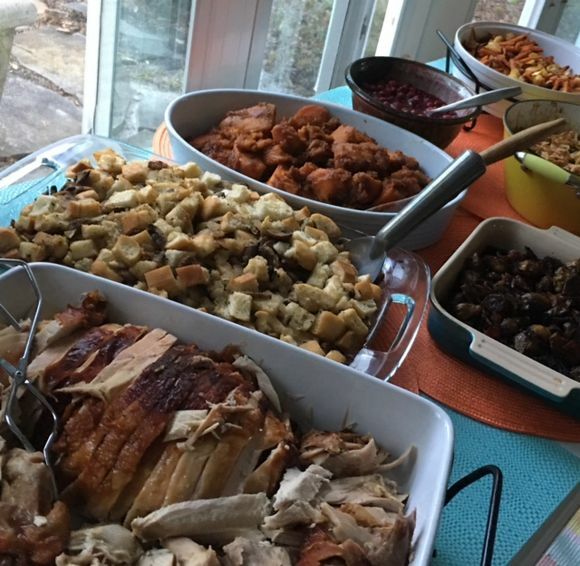 And then there was Thanksgiving, of course. And Joe Mama’s pizza tonight to top it off. 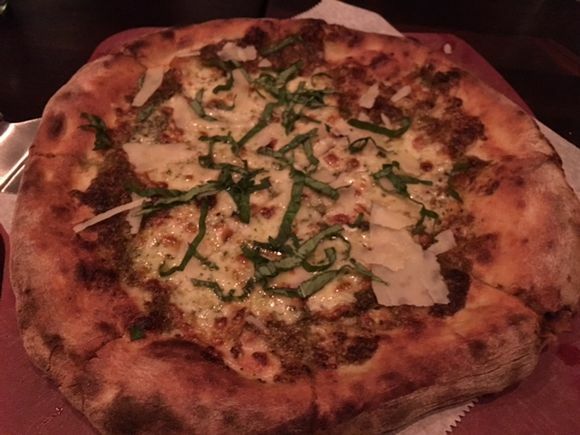 Pecan pesto with smoked mozzarella and provolone. Spectacular. And now we hit the road early to get back for the final crunch before THE CRUISE. Booked Antarctic kayak trips today. Can. Not. Wait.